I want to run on electric battery but accelerate off of a big gasoline lawn mower engine. I am interested in creating an EV however I hear too many sad stories of lead acid batteries dying in as little as 200 days. From what I hear, lead acid batteries do not like high current rr to be drained down too far (80 %). To deal with high current situation, I would like to put a little "extra" power from a lawn mower engine under the hood in addition to the Electric motor & batteries. back shaft so when I needed 40 hp, I could get 20 hp from the 20 hp gasoline engine and 20 hp from the ac electric motor. The Curtis controller company says that I will blow the controller. As I understand this is exactly the way the Honda Insite works. Curtis says you need extra electronics to make it work with their controller. They will not tell me what is needed. I can not believe I am the first person sense the beginning of time that thought about putting an electric motor and a gas engine together using a v-belt. What type of vehicle? What type of batteries? What Curtis are you using? 1221 or 1231? Where do you plan on using V-belt? Unless you have some strange vehicle, you can get years on a set of batteries. Manual transmission or Automatic? V-belts are not too efficient either. The answer to the above question is "YES" what am I going to use. I was thinking about a 1998 civic with a 5 speed stick. The vbelt could be a chain. I plan to hook the electric motor to the transmission. I plan to hook a clutch to the lawn mower motor and then hook it to the other end of the electric motor. I could get years from a set of batteries however I want make sure I get many years from the batteries. Too many people are not getting good battery life. I want to ensure I get good battery life. I plan on useing the cheap 74$ sams club everready 6 volt golf car battery. was beefy enough for what I need. I do not think the controller will blow as easy as the AC controller. I want to operate the batteries well within the safe current levels. Thank you very much for your interest in this. I really do not care how I do it, AC, DC, sepex, all the same. We could use a hamster on crack for all I care. Basically I want the lawn mower engine to handle as much of the high power needs as possible. The batteries should not hit high currents. Oh where I live, regen will not do much. No hills and I plan to drive like an old person. they also don't like being overcharged, or floated. That does damage more often in EV applications than fast/deep discharge. Its also a reason they don't get used in Hybrids, their charge rate is too slow. The Curtis guys are worried you were planning on using a series DC motor for regen, which has a habit of blowing freewheel diodes in motor controllers. those controllers are designed for forklifts. curtis AC controllers are *much* better. The Honda Insight uses an AC motor in place of one of the cyclinders. being AC, the power can go in either direction. any, back to your idea. A relatively cheap way of doing this would be to use a shunt motor with rated torque around 24Nm or 32.4lb-ft (so 10Hp/3000rpm or 5Hp/1500RPM). have the battery wired directly to the motors armature, and a small motor controller running the field windings. the field windings would need to be always powered (or big bangs occur). a manual gearbox is recommended (because auto trannys have such poor efficiency) but either will still work. the petrol motor and be mechanically coupled to the elec motor (which ever way you please) with its throttle wide open. fuel economy will be better than that of the original car. but still dirtier in terms of emmissions than a full electric version, though you do have the option at least of driving electric only. performance should still be the same, as the elec motor gives the good peak power. You keep saying "Lawn Mower Engine," that's 5hp or less rather than the 20hp you've referenced. About useless on the weight of car you're talking about. A hybrid does it's accelerating with the electric and cruises on gas because that's the most effective way to do it. My own thought on this approach has been that if there was an electric assist to bring it to speed the car might make due with the inadequate gas power. I don't know that a Honda Civic would keep moving at speed for a 5hp engine, or if that iittle crankshaft would hold up. Keep in mind that a 5hp electric motor is more effective than any 5hp gas engine because you don't really run the gas engine at the rpm needed to get that 5hp. The electric is realistically twice as powerful. The lawnmower engine has not progressed in many decades because it hasn't had to. Congress is threatening to slap smog requirements on it, so things might change, but you can get lighter engines that are more powerful on weedeaters, pocketbikes, etc. The old Kubota diesel engine projects running the 17hp engine in 1,200 pound cars apparently worked, but probably used the engine up quickly. Add an electric motor to help bring it to speed, and you might be happy with it. I should have said "riding lawn mower engine". They can be up to 27 hp that I can find. What is battery "floating" ? run off of electric, I can put a lot of watts in a car for a few dollars. Just finished writing this reponse and the page went wild on me. Let's see how much I can remember. Floating refers to a maintenance charge on the battery to keep it from going dead on its' own. If you see a "Battery Tender" that is a very slow charger that will do your float. Lead acid cells supposedly don't like that. If you don't ride regularly, such as with my electric dirtbikes, you want to charge it periodically, people normally do that once a month. I try to remind that this is the popular balief time period, I don't know what is really good. When you aren't running electricity to drive the car and are coasting, the motor is acting as a generator. Depending on the capacitance of your controller it might be floating the batteries with that small amount of electricity. I can't say how big an issue it is, but it is an issue. Here's where a real battery engineer would be incredibly helpful, as the batteries themselves are the bane of the electric vehicle. I'm assuming the LifePO4 doesn't work this way, but a lead acid cell doesn't want to give up more than 1% of its' rated capacity in 1 minute. Theoretically you'd like to have the rated capacity to run your vehicle close to 2 hours on a charge if you use lead acid cells. Some of these expensive scooters that brag of a 75 mile range at 40mph would have a safe draw, but if they were to go 65mph they wouldn't. More to the point, someone builds a ride to work and only has to cover 10 miles, and assumes they'll be able to charge at work every day, so they build a 10 mile range. With lead acid cells, the math may calculate that you can cover 10 miles in that 100 minute period, but that will actually wear out your batteries quickly, and you will right away find you can't make the trip. 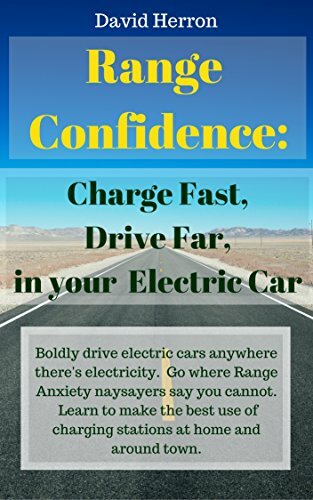 You pretty much have to figure that if it takes 20 minutes to make the trip, you still need the 100 minute range for the lead acid batteries or they won't hold up. A commercial hybrid uses an expensive battery (Over $3,000) that doesn't have much capacity (Converting to a plugin hybrid requires a lot of batteries) so that it can endure the continuous cycling. They last over 100,000 miles, and that could be over 10,000 times you accelerate from a dead stop. Durability is the issue. I'm told, and I'm not sure whether to believe, that the car battery will not last as long as industrial batteries. Whatever the amps you read on the car battery, that's a draw it can handle for 5 seconds at a time starting your car. Whatever the "Cranking Amps," that is not an ampere hour rating. You estimate 10% of that, and that 500 cranking amps becomes 50 amps. I just paid over $80 each for some Werker 33 amp batteries to fix a Lepton Oxygen and a nameless Chinese soocter. (So far neither is responding.) I shelled that out to see if they really do last longer. I've used 23 amp riding mower batteries at $20 each to run scooters, cheaper than the 10 amp Powersonic and they last longer if only because they're higher capacity to begin with. But they don't fit where the batteries are supposed to go. There's a 33 amp for $30 and a 43 amp for $40. And how would any of these compare to the LifePO4? If you have a 72 volt motor and $120 for 6 of the riding mower batteries held up more than 10% of the time that $1,200 worth of the LifePO4 did, you're ahead, right? So there's your real issue to figuring out which battery is best. If my Werker batteries don't last at least twice as long as the 33 amp riding mower battery would for less than half the price, I won't be happy. Meanwhile, the car battery is supposed to stand up better under the heavy draw of accelerating from the stop signs, so it could function well. But remember it will be constantly charging, that's what makes a hybrid work. That's a tough question to answer. If you went to the Honda dealer and bought the battery from the Civic hybrid, it would probably outlast your car you're building, but you spent over $3,000 and swapping out regular car batteries from time to time might not have totalled that. But if it did cost more over time, you wouldn't know until you'd spent all the money. I think what I wrote the first time turned out better, but this gets the point across. Electric vehicles would be great if it wasn't for the damn batteries. I think its lots of fun to experiment with new ideas, but I dont think your results wll be what you are looking for. Lead acid batteries do a very good job of sinking high currents. A battery of the starter in car pulls 100-200Amps when starting. Lead acid is actually one of the best for high current loads, and so for acceleration from a stop sign, lead acid with electric is an easy way to go. Adding a gas motor is only good for cruising after all ready up to speed. Gas motors have the most power at higher RMP. I think you will find that adding a the 27hp gas motor only adds complexity and cost. Better to put the time and money into a better pure electric.